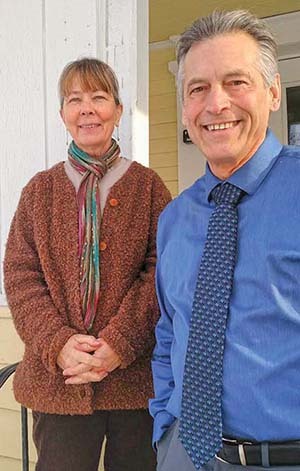 "John Graham Housing and Services has fresh leadership in the new year, with Peter Kellerman and Kate Schirmer-Smith becoming co-directors Jan. 1. Longtime executive director Elizabeth Ready stepped aside but remains in the role of chief financial officer. John Graham Housing and Services provides shelter, housing, services, and prevention and intervention at five sites throughout Addison County. Its flagship emergency homeless shelter is in Vergennes."